Washington, DC -- Ten of the nation's largest and most influential environmental groups, including Hip Hop Caucus and Green for All, today launched a coordinated campaign to drive Environmental Protection Agency Administrator Scott Pruitt from office, calling him a dire threat to Americans' health and our environment. 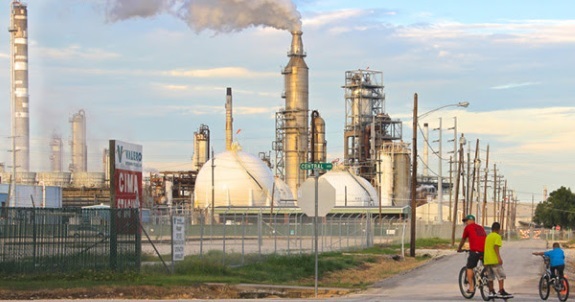 Communities of color, who already are disproportionately impacted by the effects of exposure to toxic and hazardous substances, bad air quality and bad water, will face heightened threats to their health and environmental safety. "As EPA Administrator, Scott Pruitt has undermined climate and public health protections, jeopardized the health of communities of color, and wasted taxpayer $$ on luxury travel. It’s time to #BootPruitt #LetusBreathe"
"The time has come. In just over one year, Scott Pruitt has taken dozens of actions to ensure the EPA fails in its mission to protect our health and environment; allowed hundreds of major industrial polluters to dramatically increase the amount of mercury, arsenic, lead and other toxins they can dump into our air and water; turned his back on the dangers from climate change; stamped out science and gagged EPA’s scientists; and wreaked all this damage while spending lavishly on himself, prompting several investigations into ethical breaches. Mr. Pruitt has unquestionably failed the people he’s meant to protect, and failed the standard of ethical conduct required of a public official. We are standing together and standing up for the millions of children and families being exposed to deadly pollution by Scott Pruitt’s dangerous policies." "More than 1 million African Americans live within a half mile of existing natural gas facilities and the number is growing every year. As a result, many African American communities face an elevated risk of cancer due to air toxics emissions from natural gas development. The air in many African American communities violates air quality standards for ozone smog. Rates of asthma are relatively high in African American communities." One in six black children has asthma, a rate that is about double the proportion of white children with the disease. The death rate from asthma of African-Americans in the U.S. is higher than people of other races or ethnicities. (Source: www.aafa.org) With his rollback policies, EPA Administrator Pruitt is putting polluters first at the expense of the health of our children. 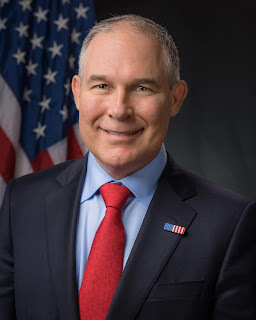 To join the campaign to Boot Pruitt visit us online at www.BootPruitt.com or follow them on Twitter at @BootPruitt. Labels: Heightened threats to their health and environmental safety.